The first is that I thought the plot was very generic. I’ve read this same story so many times before, and there was nothing new to make it stand out from the hundreds of other YA fantasy books out there. 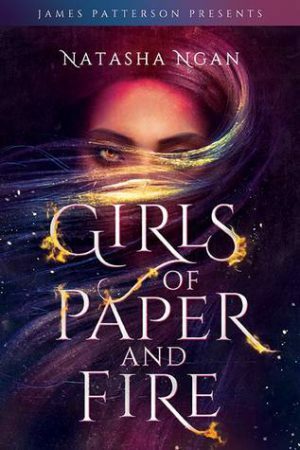 The main character goes from a tiny village to the palace, where she is trained to be a Paper Girl. She then hears of a rebellion, and gets involved with that. From there, you can pretty much guess how the story is going to go. Admittedly, the plot is very fast paced. I flew through it, even though it’s a longish book. But it was simple. I did really like the main character. I thought she was super feisty and she stuck up for herself and others on so many different occasions. She didn’t have much of a personality aside from that. I mean, I don’t know anything about her likes or interests or hobbies. There probably wasn’t much time for hobbies, but still. Something could have made her stand out a bit more, ya know? She is super gay though, so there’s that. I didn’t love the romance that developed between the main character and one of the other Paper Girls. It didn’t really develop, it kind of just came out of nowhere with the bare minimum of hints. I get that they were in an intense and stressful situation, and probably found love wherever they could, but there was no real build up or chemistry, which was disappointing. I did like the love interest as a character though. Just not the lack of connection. This book obviously didn’t blow me away. There’s a lot of stuff to talk about for a three star book, but I’m not sure I’m going to bother reading the sequel because I feel like there are better fantasy books out there. Ah it’s a shame you didn’t get on with this as I had such high hopes for it! I totally get what you mean though, all YA fantasy seems to be so generic at the moment. Okay I previously didn’t think much of this book, but now it’s going on my TBR! I wasn’t really blown away by this one either, which was ultimately disappointing because it had sounded so awesome! But you’re right, the overall story was so generic and I don’t think it brought much to the YA fantasy world. I did like the diversity, though. And I think the story will change it up in the sequel so I’m willing to give it a go. And I’m hoping the main character and the romance might get some development in the sequel as well because both were lacking in this one, even though there was so much potential! Sorry you didn’t love this one, Amber!